Home / James Durbin / Durbin brings his “Riot On Sunset” tour to the Windy City! Durbin brings his “Riot On Sunset” tour to the Windy City! Singer/Songwriter/Guitarist James Durbin from Santa Cruz, CA rolled into Chicago to showcase his new songs of all original rock material off his 3rd full length album “Riot On Sunset”. This is his first independent release. 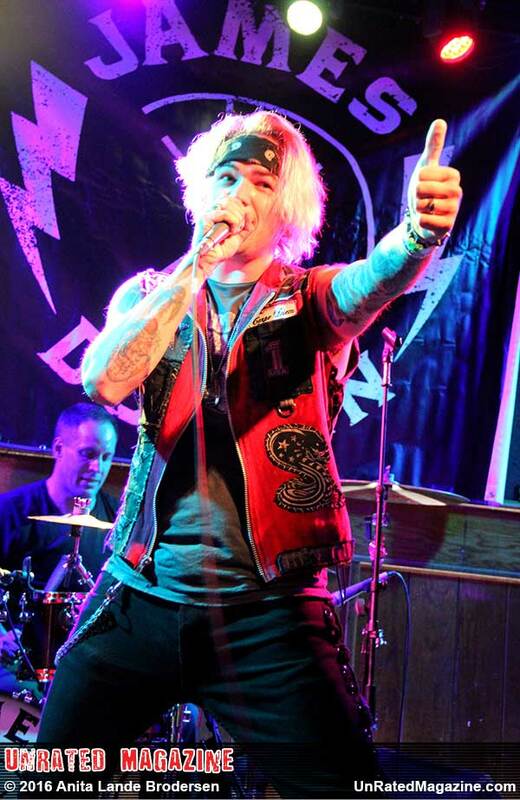 The 27 year old bleached blonde hair singer has had quite an exciting rocker life so far. He was a Top 4 finalist on season 10 on the T.V. show American Idol. He has worked and performed with many musicians such as Mick Mars, Zakk Wylde, Sheryl Crow and more and has toured the world with the Idol’s Live Tour. As James Durbin and his very tight band took stage, they unloaded with powerful songs from his debut album “Memories of a Beautiful Disaster”. Songs performed were crowd favorites like “Outcast”, Higher Than Heaven”, and “All I Want”. Then he showcased new rock songs including “Riot on Sunset”, “Mustang Livin’, “N1n9teen”, “Keeps Me Alive”, “Lost in the Shadows” and he let loose on “City of Nightmares”. These explosive new songs received a huge positive response from his Chicago fans. James Durbin has the voice and presence of a superstar. He is a must see live artist and be sure to get the new album and let the Riot begin!